The city’s winter shelter at the old North Neighborhood Library. File photo by Stephanie Rivera. City officials have revealed the pick-up locations for its winter shelter program which opened today and is available for individuals experiencing homelessness. The winter shelter, located this year in the former North Neighborhood Library, will operate between 5:00PM to 7:00AM from December 21, 2017 to March 31, 2018. In the event of rainy weather, the operator United States Veterans Initiative (U.S. Vets) may extend the hours. Once checked into the shelter, participants cannot exit or enter at-will and walk-ins are not accepted, according to a city release sent today. 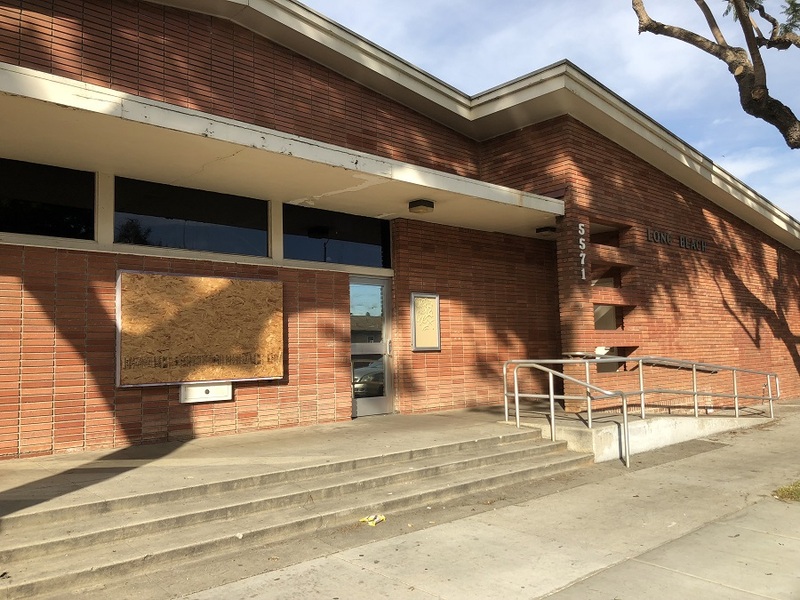 The winter shelter is funded by the Los Angeles Homeless Services Authority (LAHSA) and lies within Service Planning Area (SPA) 8, which serves communities in the southernmost part of Los Angeles County.